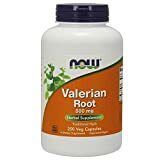 Valerian Root (Valeriana officinalis) is a perennial garden herb that grows to be five feet tall and produces small fragrant white flowers. The dried root of Valerian has been used as a medicinal herb for thousands of years. 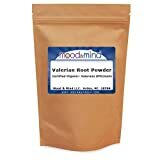 Valerian Root appears to act by enhancing the actions of a natural brain chemical, GABA (gamma-aminobutyric acid). GABA is a neurotransmitter, a chemical that carries messages between brain nerve cells. GABA inhibits the transmission of nerve signals, thereby reducing nervous excitation. 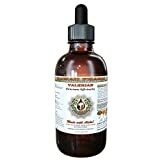 Valerian Root supplements come in capsules, liquid extracts, and as tea.